Amazon Prime members! 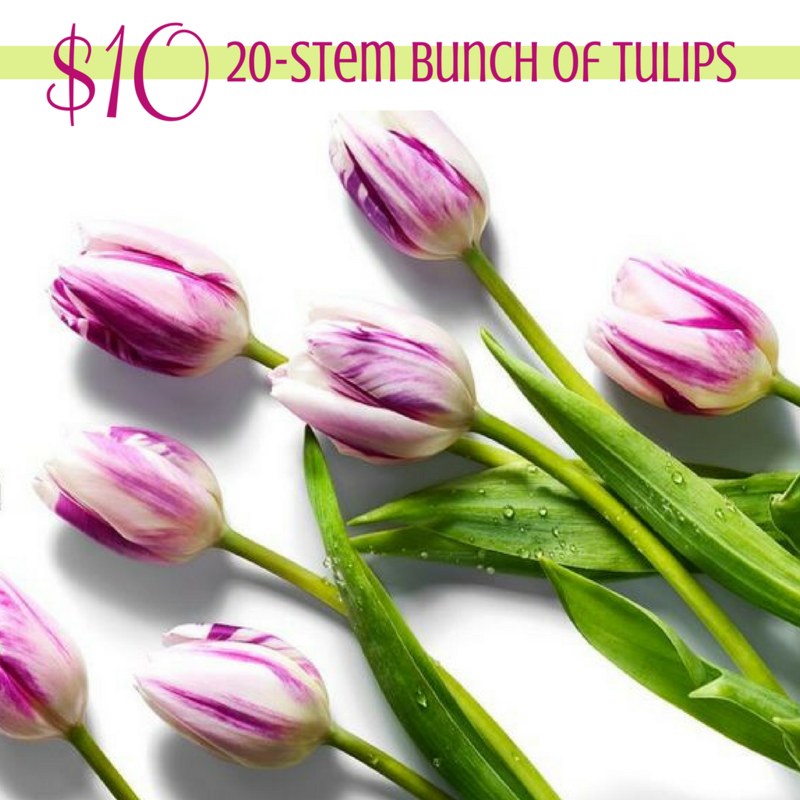 Here’s a great way to save on flowers for Mother’s Day. You’ll get 20-Stem Bunch of Tulips for $10 (reg. $15) from Whole Foods! Present the Amazon coupon when you make your purchase at the store. Note: There will be certain tulips that are part of this deal. Look for specially marked bouquets (they’ll be bundled into groups of 20). This offer is valid through 5/15. If you aren’t a Prime member, consider signing-up for a FREE 30-day trial.